I'd mentioned earlier that I was going to my sister's. Their house is currently under construction. The moment I arrived, I immediately found Buchi trotting on their unfinished balcony doing his guard dog duties. He's been great at it, barking at anybody who he sees entering the gate. Most Shih-Tzus have big barking voices, by the way. I was lucky I caught him in a good mood. Now, I have an oh-so-cute picture of the doggy that growls at the clipper when it's turned on. He's supposed to be a princess type shih-tzu but I doubt with his size he's still considered one. 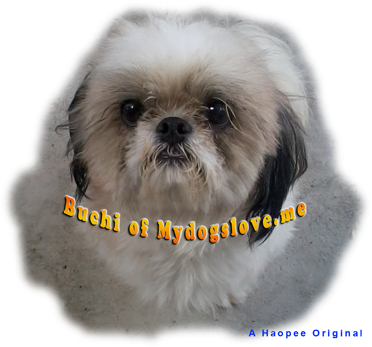 Opening introductions aside, meet Buchi. Special Skills/ Traits/ Talents: Monstrous Barker, Cute and Cuddly, Over Protective of Territory, Not yet Neutered, a Humper!!! 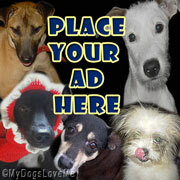 RFA (Reason for Adopting): I was set to own my first dog. There were two of them to select from. I chose him because he was the quiet type. Little did I know he was already weakening because of the mange and stress (probably). He also got me and my niece itching for weeks because we didn't know what he had.